Last week, we posted an article discussing how isotope ratios in a bird’s body vary depending on its past diet and geographic location. Archived in blood and hard tissue, isotopes leave a chemical record of a birds’ life history. American Redstarts feed most successfully in wet habitats, although they tolerate and occupy dry habitats as well. A team of Canadian scientists examined redstarts with varying degrees of breeding success, and used carbon isotopes to determine if there was a relationship between a redstart’s wintering grounds and the number of offspring it raised on its breeding grounds. The ratio of Carbon to its lighter isotope, 13C, varies between wetlands and uplands because of plant metabolism: plants metabolize carbon in one of three ways, and the one most prevalent in wetland plants requires that they store more 13C. This extra 13C accumulates in the bodies of insects that feed on plants, and eventually in the redstarts that feed on insects. The Canadian team previously showed that redstarts in wet winter habitats had more 13C in their blood cells, enabling them to identify birds on the breeding grounds that had overwintered in wet habitats. The scientists tested birds on the breeding grounds, finding that redstarts that raised more offspring in the summer also had higher concentrations of 13C in their blood, showing that they had occupied better-quality winter habitat. By showing that wet habitats will do more for redstarts’ reproductive success than dry habitats, this study helps conservationists set priorities for protecting their wintering habitat. More broadly, this study underscores that not all winter habitat provides what birds need to thrive during the breeding season. Researchers used these patterns to determine if Golden-winged Warblers that bred in similar areas in the US stuck together on their wintering grounds. The Golden-wings’ closest relative, the Blue-winged Warbler, doesn’t do this at all—a bird from Ohio is just as likely to overwinter in Honduras as it is to end up in Mexico. 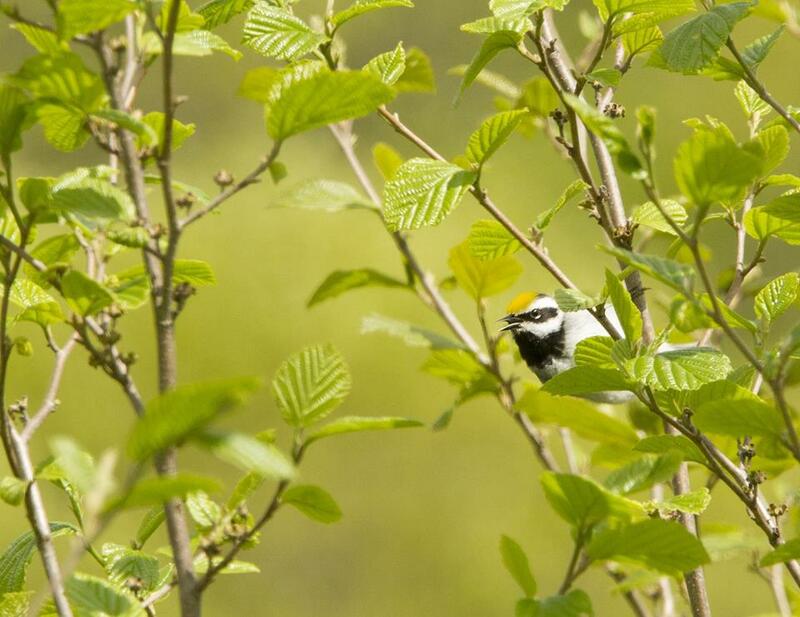 But certain breeding populations of Golden-winged Warbler are in much steeper decline than others, and researchers wondered if it could be because of trouble on their wintering grounds. Deuterium analyses showed that Golden-winged Warblers follow strict migratory routes: birds in Venezuela came almost exclusively from the declining population in the southern Appalachians, while birds in Central America came from the more secure Great Lakes population. These findings suggested that regional differences in population trends might be due to specific threats along migratory routes or on wintering grounds. A study of nitrogen isotopes In Whip-poor-wills showed that the quality of Whip-poor-wills’ diet has diminished over time, contributing to their decline. A heavy nitrogen isotope, 15N, increases 2-4% with every step in the food chain. As predators consume more prey items, they excrete lighter isotopes and accumulate 15N in their bodies. So, if a Whip-poor-will eats mostly large, predaceous insects, it accumulates 15N faster than a Whip-poor-will eating mostly herbivorous insects—which also tend to be less protein-rich and less nutritious. By analyzing the 15N:14N ratio in the feathers and claws of Whip-poor-will specimens in natural history museums, ornithologists found that the quality of their diet has indeed declined through the past few decades. This study was widely popularized in the news in addition to scientific journals. 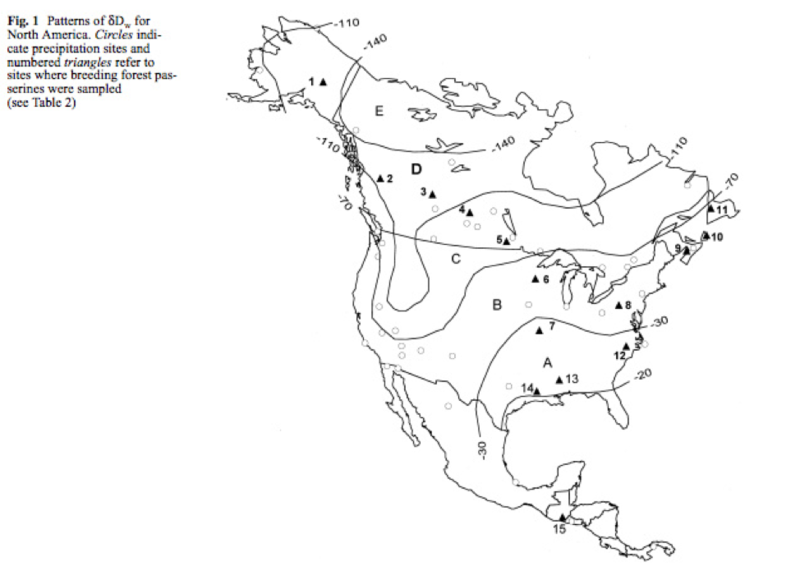 This entry was posted in Research and Monitoring and tagged american redstarts, chemobiology golden-winged warblers, golden-winged warbler migration, isotope biology, Isotope Studies, migratory bird conservation, whip-poor-wills on June 26, 2018 by William Freedberg.